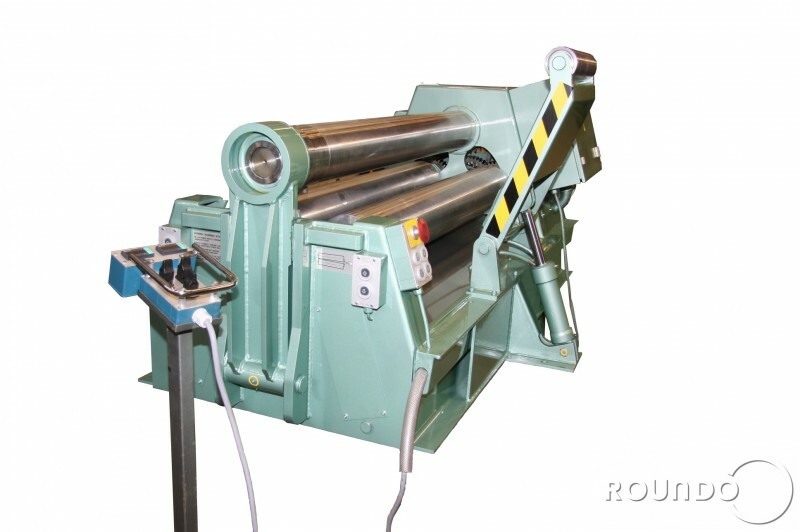 The ROUNDO PSE rolls are the most versatile yet cost-effective bending rolls available today. 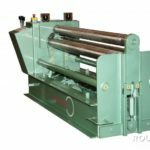 PSE are the most basic plate bending machine in our range with hand levers as standard and for plate thicknesses 2 – 8 mm and widths 500 – 8000 mm Even if the machine are basic it has same top quality and performance as other ROUNDO machines. All machines have unique features needed for high precision and versility. The pinch/pyramid design provides excellent prebending capabilities, In many case the flat end is as short as one time the plate thickness. 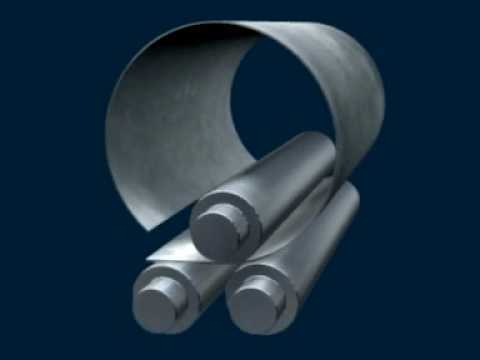 Prebending of both ends of the plate without the need to remove, turn and re-insert the plate. 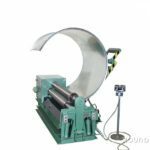 Yet, by positioning the rolls in the pyramid (symmetric) configuration, maximum bending capacity can be obtained, as well as maximum cone bending capabilities. 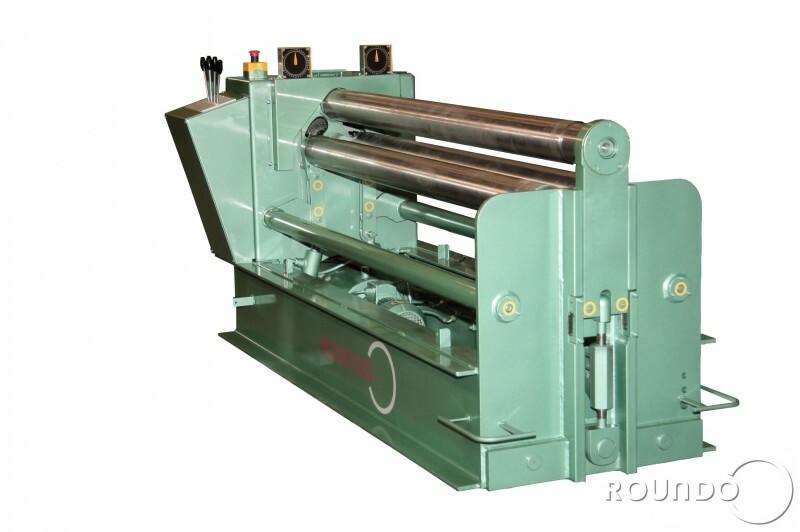 The ROUNDO PSE rolls provide a large opening between the upper and the lower rolls. RLC controls and a wide range of options are available for all models. Hydraulic infinitely variable drive on all three rolls via low speed hydraulic motor. Slip clutch for the top roll, compensating for the difference in surface speed between the inner and outer circumference of the plate. 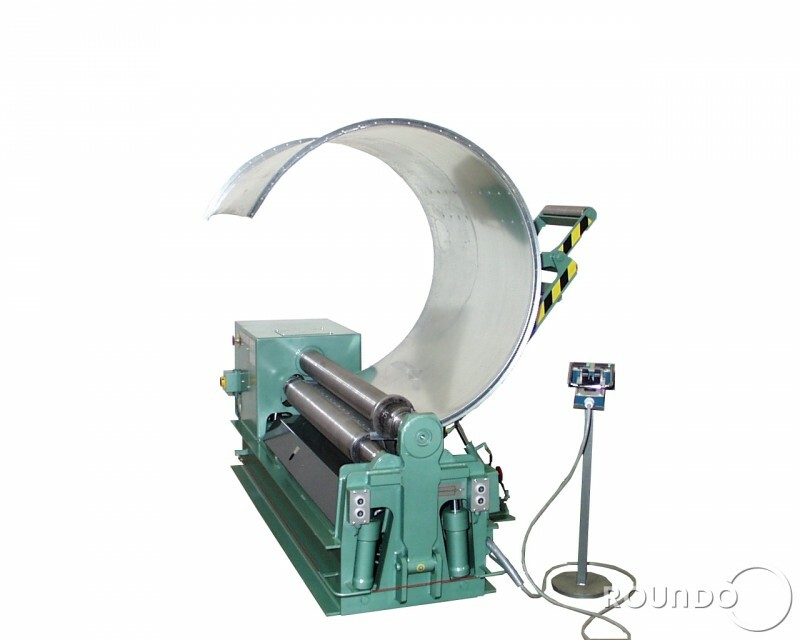 Hydraulic infinitely variable adjustment of the two lower rolls. Alignment grooves in the two lower rolls (not valid for hardened rolls). SKF spherical roller bearings in all journals. Hydraulic operation of the drop end. 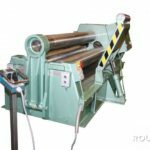 Permanent balanced top roll when operating the drop end. Control panel fixed mounted on the motor frame. Complete electric equipment incl. two emergency stops. One on each end of the machine.